Melmoth's Inferno: Bloke in a dress! "He doesn’t have the victim mentality we usually request at this point of the debate…", cried the goblins, just before my dwarf put his spiked club through their noggins. No spiked mace in the noggin for you. 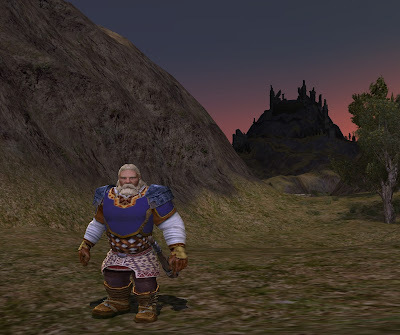 Oh yeah, kilts do fit dwarves quite well...my loremaster elf has been sporting a robe, just looks better on him.